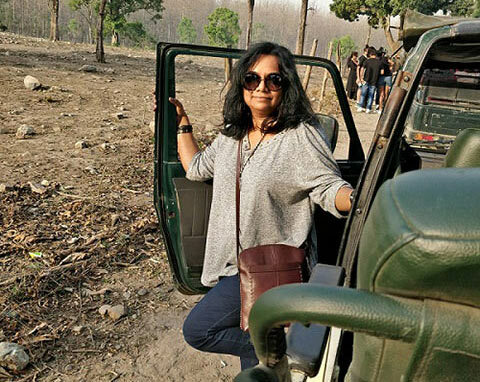 Sudha Pillai has over two decades of experience in media – as Creative Director, Editor and Head of Features/News Features of various national newspapers, magazines, television and animation production houses. Her responsibilities at these organizations included launching print, digital and television properties, reinventing existing lifestyle and feature sections, leading large groups of creative people, as well as sourcing, management, innovation and production. After more than two decades of working in mainstream media, Sudha charted her own course. Currently, she works as a freelance travel writer and columnist and is Head of Outreach Projects for Meaww (Music, entertainment and arts worldwide) – a global media company. Her travel stories have been published in mainstream newspapers, magazines and in-flight magazines. Her column, Wayfaring, is published in National Geographic Traveller, which has also featured her travel writings. Sudha is also a professional photographer, illustrator and artist. For most young job and career aspirants, leaving their hometown to seek greener pastures in large cities always seems to be the first step. To a large extent that is true – but for those looking for a stepping stone to a career in hospitality, starting at the lower rungs is also a very good opportunity. Especially if you don’t have the exposure or experience. .
At mid-to-senior levels most hospitality jobs call for relevant qualifications and experience. For early job seekers, a basic degree and a whole lot of promise are useful qualifiers. Young employees starting at the bottom can learn on the job and later choose to do a professional course in their area of interest. This way you get your first job in your hometown, and also start earning a salary to support yourself. Your first job at a home-location is useful and convenient in more ways than one.